SKU: WBS. Category: Other Plaques. We developed the white board as a temporary plaque so that you or friends can write a personal message. 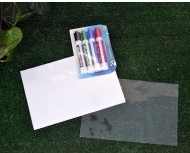 The white board comes with dry erase markers and a plastic cover to help protect your message. 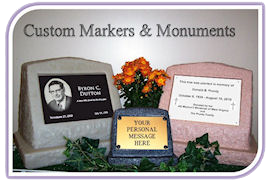 The white board has a peel and stick backside that is placed into the recess on your monuments. When a more permanent plaque is purchased, you may secure it over the white board.